New York taxpayers will shell out $61,000 for each of the 25,000 jobs to be created over the next 15 years from Amazon's new split-model HQ2 plan. This works out to nearly double the $32,000 in tax incentives that Virginia residents will shoulder for the same number of jobs, according to Bloomberg. 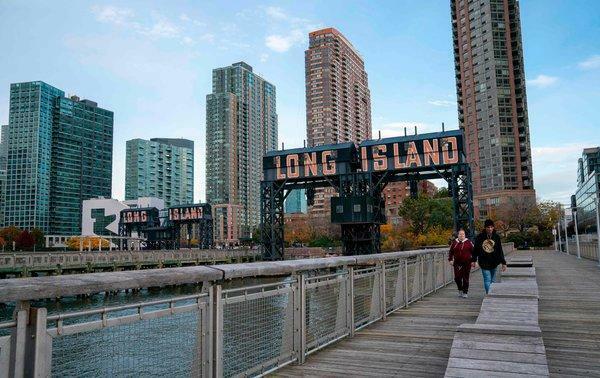 In the long run, the public expense, along with the number of jobs created, would likely be even higher in Long Island City - as New York Governor Andrew Cuomo said the state and city will spend as much as $3 billion to secure as many as 40,000 jobs in what he described at a Tuesday press conference as "the largest economic development initiative that has ever been done by the city or the state." Not everyone is happy with New York's current plan to offer performance-based direct incentives of $1.525 billion and a cash grant of $325 million based on the square footage of buildings Amazon occupies over the next 10 years. "Amazon is one of the richest companies in the world...I also don’t understand why a company as rich as Amazon would need nearly $2 billion in public money for its expansion plans at a time when New York desperately needs money for affordable housing, transportation, infrastructure and education," said New York City Council speaker Corey Johnson. Virginia, meanwhile, will pay less to boost the Northern Virginia region economically in terms of billions of capital which will be needed to boost private investments around the new HQ2 - which will include office, residential and retail developments. According to Greg LeRoy, executive director of Washington-based Good Jobs First - which tracks government spending on businesses, says that Virginia is getting a good deal according to Bloomberg. "If that’s all the money Virginia is giving, it’s not obscene," said LeRoy. "It’s way below our megadeal threshold." New York has always been among the most generous in terms of giving tax breaks to attract jobs, LeRoy added. New Jersey, Maryland and Missouri were all willing to shell out about $140,000 per job to bring the online retailer Amazon.com Inc. to their states. According to Cuomo, New York state will receive a 9-to-1 return on nearly $3 billion worth of incentives, and will see revenue totaling $27.5 billion over ten years. "That is the highest rate of return for an incentive program that the state has ever offered," said Cuomo. In terms of overall dollar value on the package, New York State's HQ2 offering is the 14th largest deal since 1976, according to Amazon's figures, while Virginia's is the 26th - ranking just above the $750 million deal Solar City received to build a Buffalo factory in 2014.